Have you ever tried to catch fish with a bow? Well, we did! Look how great it worked out! We also made special pit to smoke the fish! Fresh fish coated in all kind of spices, greens, lemon juice and of course a lot of chili sauce… Mmm… Spicy! Do you want to try it out? Check out our website for the recipe and video for visual instructions! Follow the video to build the smoking pit. Salt each fish from the inside well. 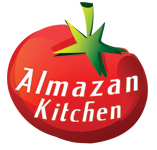 Grate each fish with Almazan fish mix well. Sprinkle each fish with coconut sugar. Toss in handful of parsley, dress it all with lemon juice well. When almost ready – toss few orange peels into the pit for to give fish its flavor.